I've loved baking since I was quite young. Mom had me measuring and adding in ingredients to her own baking when I was little. Then I "graduated" to making the simple mixes where you only added water. I think we all remember the easy snack mix cakes! And as I got a little older I would bake from scratch. I always loved to bake and still do. Although I do know how to bake from scratch, if I can bake with a mix and make things go a little quicker, with an equally as good end result, I'll take the easier way out! 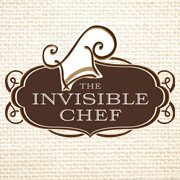 I found a company online called The Invisible Chef- that offer simple and delicious baking mixes. They offer everything from my favorite - Blondies,Brownies and Bars to other another favorite- Cupcakes.. plus so much more like a Holiday section, and offering bake ware, etc. They have great recipes too that use their baking mixes, on their site for you to try. I wanted to share one of their baking mixes I tried of a few I chose with my order: The Jelly Belly Candy Cane Swirl Cake. The Candy Cane flavor is swirled with their rich Chocolate Pudding flavor to create a delicious combo in one that is as pretty to look at as it is to enjoy! Simple to make. Easy to bake and wonderful to eat is all we can say. The baking mixes are great for beginners OR the seasoned baker. I also wanted to add that I baked these mixes in our RV's propane stove and they baked up just awesome. Added about another 5-10 minutes onto the time though. The Invisible Chef would love to have one of our US readers win their very own Jelly Belly Candy Cane Swirl Cake with an engraved spatula. A random draw will be made by Random.org on December 11, 2016 from all US entries received. Leave us a comment- with your contact info- to let us know if you have tried The Invisible Chef baking mixes. I have not tried any of these, but I'm curious! I have never tried the Invisible Chef mixes. I have not tried the Invisible chef baking mixes but I sure would love to try them. I have not tried the The Invisible Chef baking mixes. But they look so delicious! No, but I will keep my eyes open for it at the shoppes.